Designed to perform in and out of the pool, Nike Performance Poly offers superior comfort and a lightweight fit. 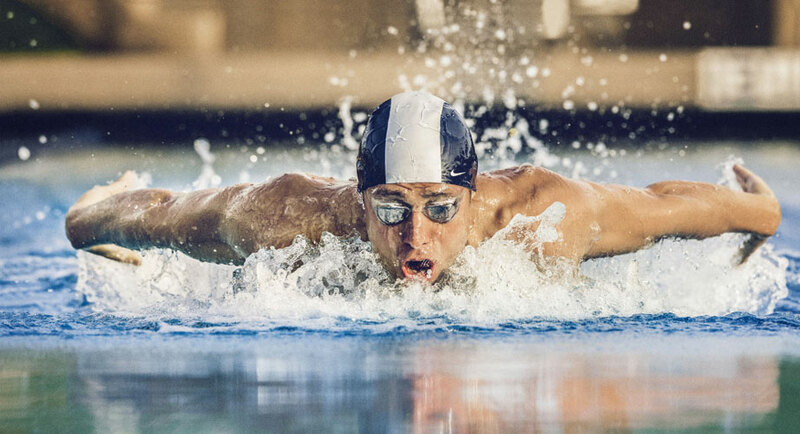 Created from durable performance polyester (53% poly/47%pbt), Nike Performance Poly is designed for long sessions in chlorinated water and its stay-fast color and stretch-resistance means your look good day in and day out. Nike Swim offers a variety of suit options in our Nike Performance Poly. Be sure to check out our Solar Canopy Modern Lingerie Tank and Jammer as well as our vivid Scatter Brain Cut-Out Tank. Or, if you’re looking for something a little bolder, be sure to check out Pow!, a suit that is sure to get you noticed.